Auto Gigabud is an auto-flowering hybrid with Indica dominant nature. 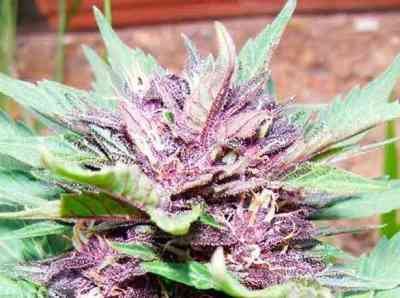 This easy to cultivate strain produces big and compact buds fully filled with aromatic resin. The taste and smell is a combination of sweet and fruity tones with some pineapple and mandarin undertones. Due to its medium to high size can be cultivated both indoor and outdoor under any method. On the end of flowering time if the nights will get colder it will change the colour of buds into beautiful purple. Recommended as a therapeutic medication. Flowering time is 50-55 days.